It is 2015 already? Wow, where did all the time go? Yeah, yeah, I know, it either went by really slow or really fast, based upon your age. But since I’m “old” (At least my kids think I am, anyway) 2014 sped by to me, and so, in an effort to reflect back on all the great things that happened last year, I decided to compile this list of the best books I read. Now, obviously I was not able to read every book released, and I do tend to read mainly fantasy. (Yes, I do request other types of ARCs from the publishers besides fantasy Mr. Hater in the back, but they keep telling me “No”, alright?) So, I suppose, if you’d rather call my list “TEN BEST FANTASY BOOKS BOOKWRAITHS READ IN 2014” that is fine by me. So, with that settled, on to the list! 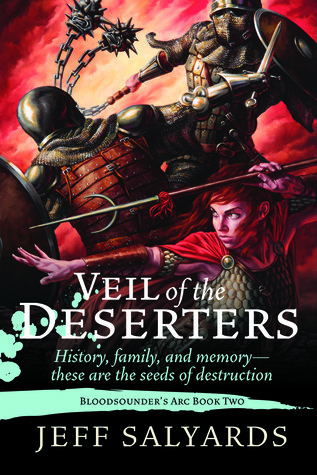 After finishing Veil of the Deserters, I declared loudly to all my friends “Damn that was good!”, going on to describe it as “one of the best fantasy novels I’ve read in a quite a while.” And after months to reflect on it, I stand by those words, anointing it the best fantasy I read in 2014. Now, Veil is book two of a series, so you really have to begin your journey with Scourge of the Betrayer. There you are introduced to a young scribe named Arki, who is hired to record the exploits of a group of foreign soldiers. Arki hopes that this job will be a break from his dull life, but soon he finds that his employer Captain Braylar Killcoin, is neck-deep in political intrigue, possessed of a cursed flail, and does not intend to shield him at all from the brutality of his violent world. Now, before you do a google search for reviews of Scourge of the Betrayer, I want to go ahead and tell you that many critics were bothered by its slow pacing, but trust me, Mr. Salyards heard the criticism and delivered a tour de force of grimdark glory in Veil of the Deserters. Buy Scourge of the Betrayer: Bloodsounder’s Arc Book One at Amazon. Buy Veil of the Deserters: Bloodsounders Arc Book Two at Amazon. The Greatcoats are without a doubt one of the best things to happen to fantasy in quite a while. During our current era of ultra-realistic grimdark, these guys have come along to remind us that there is still a place for swashbuckling heroes in fantasy. You know the types I mean, the ones who fight, kill, and grieve but also finds time to laugh, bicker with their friends, and tease one another mercilessly. Three Musketeer-type heroes. Someone you don’t feel emotionally dirty for rooting to victory. Yeah, you could almost say Traitor’s Blade brought the fun back to fantasy (though there is a bit of grimdark here as well). 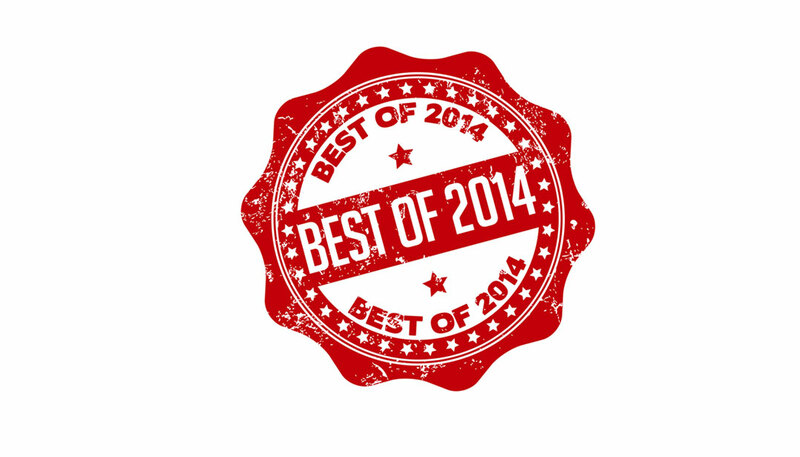 For all those reasons, Traitor’s Blade is my first runner-up for best fantasy book of 2014! 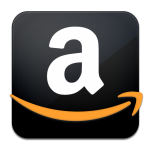 Buy Traitor’s Blade at Amazon. 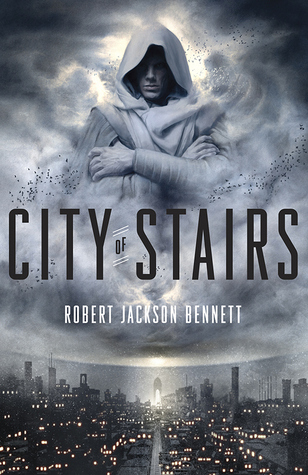 How does one succinctly describe City of Stairs? It really is difficult, because Mr. Bennett has created a world that once was filled with magic, where gods walked among mortals, but which now is empty of all semblance of that marvelous epoch. Instead, the Continent is a bleak, hopeless place, conquered by its former slaves, ripe with anger and frustration yet still clinging to the hope that its former age of gods will somehow reappear. Into this powder keg of barely contained violence comes Shara Thivani, operative for the Saypur Foreign Affairs Ministry. Shara is a young woman banished from home due to a political act of conscious who has spent most of her adult life on the Continent accompanied by her bodyguard Sigurd, a barbarian Dreyling. And while she initially comes to the bleak city of Bulikov to uncover who committed a murder, she soon discovers secrets that could change the world! Great setting. Magnificent world building. Mesmerizing mystery. A real genre blender. That is why this novel is the second runner-up from 2014. Buy City of Stairs at Amazon. One of the best surprises from my 2014 reading! 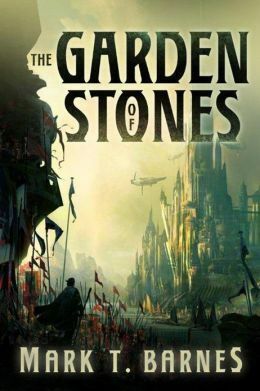 THE GARDEN OF STONES was a worldbuilder addicts fix, filled with history, lore, magic systems, and all other things WB. THE OBSIDIAN HEART was non-stop action, as Mr. Barnes slammed the accelerator down and gave a reader edge-of-your-seat action and adventure from the first page to the last. THE PILLARS OF SAND was a mix of the previous two: world building and action, in equal doses. Buy The Garden of Stones (Echoes of Empire) , The Obsidian Heart (Echoes of Empire) , and The Pillars of Sand (Echoes of Empire) at Amazon. 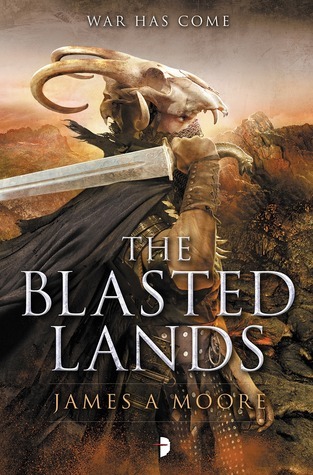 The second volume in Mr. Moore’s series, The Blasted Lands is a fantasy story that the author described as being a fantasy version of an unstoppable force colliding with an immovable object. And honestly, who am I to argue with him – especially when I believe that is a perfect analogy. For you see in Seven Forges the Fellein Empire, which controls the majority of the world, has finally surmounted the inhospitable blasted lands to discover a perplexing people who live near the volcano riddled center: the Sa’ba Taalor. Reintroduced to one another after generations innumerable, these two cultures attempt to embrace in friendship, but even while they share kind words and hospitable meals, there is always an undercurrent of conflict brewing between them. A conflict that promises to change the very world! When you add ancient mysteries, shadowy history, and meddling gods to an already interesting concept of civilizations clashing, you can see why I, for one, can’t wait to read more of this interesting world in the near future. Buy Seven Forges: Seven Forges, Book I and The Blasted Lands: Seven Forges, Book II at Amazon. Sure, this is a translated work, having been written in Russian. Yes, it still retain a few language related issues. And, yeah, it does starts off slowly. But once Mr. Pehov gets the foundations laid for this epic fantasy, it really takes off. And that, my readers, is why Chasers of the Wind is number 6 on the list. Buy Chasers of the Wind (The Cycle of Wind and Sparks) at Amazon. Okay, the fact is that you either like Drizzt and the way Mr. Salvatore writes him, or you don’t. 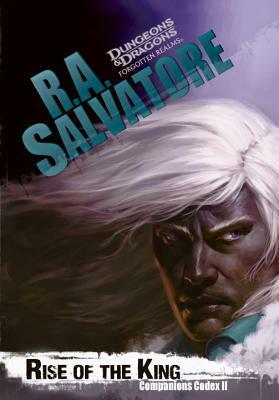 While I don’t consider myself a diehard fan of either author or character, I have found the few novels I’ve read about Drizzt pretty fun experiences. The fact that I’ve only read a handful might help matters, but all I know for certain is Drizzt doesn’t annoy me like he does some of you. In any event, Rise of the King sees Mr. Salvatore continuing the adventures of the reunited Companions of the Hall. While the last book, Night of the Hunter, spent a great deal of time reviving the Companions friendship and highlighting the shadowy machinations of the drow, this story comes out hard, fast, and full of sword-and-sorcery fun as war descends on the Silver Marches and the Companions walk right into it! Now, Rise of the King doesn’t really vary from the normal fantasy story you expect from Drizzt, but it doesn’t disappoint either. So for an entertaining (and sometimes emotional) fantasy adventure, this novel can’t be beat. Buy Rise of the King: Companions Codex, II (Dungeons & Dragons: Forgotten Realms) at Amazon. This novel is one of those genre blending pieces of literature that pop up every now and then, and it is best characterize as a fantasy/post-apocalyptic/urban fantasy hybrid in my opinion. But where most other genre blenders fail, Ms. Martin actually pulls this one off. 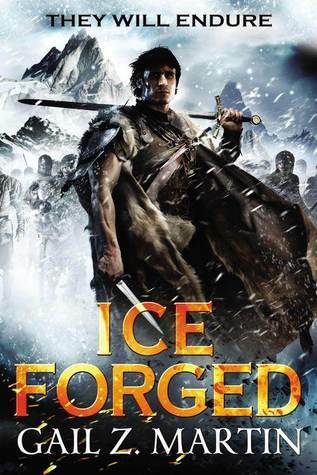 The reason is that Ice Forged‘s depiction of the frozen waste of Edgeland (Think Iceland), its prisoners/colonists, and a civilization disrupting cataclysm is very unusual; a major departures from traditional epic fantasy fare that kept me flipping pages. Unfortunately (at least for me), during the second half of the novel, it slowly evolves into more of a medieval urban fantasy, and my enjoyment with it decreased, but those who love vampires helping and hunting erstwhile heroes might not agree with my sentiments. So while it didn’t punch enough pleasure buttons with me to climb any higher up my list, Ice Forged was still an enjoyable change of pace read. Buy Ice Forged (The Ascendant Kingdoms Saga) at Amazon. Before any Shannara haters even start, this was the first novel in this long running series that I have read since finishing Wishsong of Shannara back in 1985. I’d like to think that an almost thirty year break between readings of this series demonstrates that I had no preconceived need to like this novel before trying it. In any event – while this tale does follows the familiar fantasy trope of simple boy discovers magic sword and goes from powerless to powerful – I found Mr. Brooks’ story telling enjoyable enough with just the right mixture of Shannara lore, action, political intrigue, and foreshadowing of future events to keep me turning the pages. Heck, I even thought I saw a few steampunk elements added into the Shannara soup. So, while some people might negatively label High Druid’s Blade a Shannara Young Adult book, what I call it is a fun read. 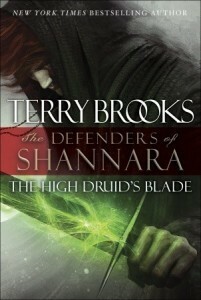 Buy The High Druid’s Blade: The Defenders of Shannara at Amazon. This is a self-published fantasy that I stumbled upon in 2014. Never having heard of it before, I’m not ashamed to admit that the great cover convinced me to download it and give it a try. Even with its flaws though Sword of the Archon has such a dynamic blending of scifi, fantasy and horror that I found myself overlooking certain issues. Honestly, the post-apocalyptic world, mysterious ruins of advanced civilizations, and mystical elements immediately brought to mind Stephen King’s seminal work: The Gunslinger and the main character Shader was just as gruff, haunted, and compelling as Roland Deschain; all of which meant that this series had to be on this list. 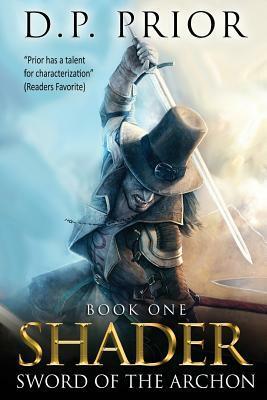 Buy Against The Unweaving: Shader: The Entire First Trilogy at Amazon. Thanks for reading my list. What books did I miss in 2014? This entry was posted in Fantasy, Lists and tagged Alexey Pehov, best fantasy books 2014, Drizzt Do'Urden, Echoes of Empire, Gail Z. Martin, High Druid's Blade, James A. Moore, Mark T. Barnes, R. A. Salvatore, Rise of the King, Seven Forges, Terry Brooks. Bookmark the permalink. Whee, Traitor’s Blade takes top spot and I can’t agree more. I need to make my list too, but I keep putting it off. 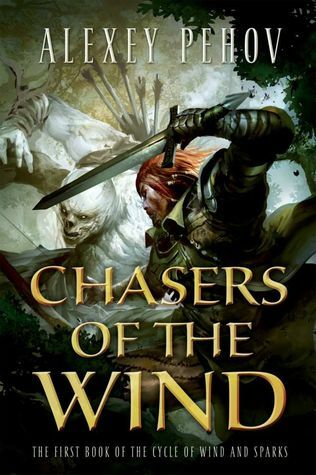 Great call on Chasers of the Wind and The Iron Wolves. As for my top 10 so far this year, I’d have to add Words of Radiance, The Emperor’s Blades, and Veil of the Deserters to those. 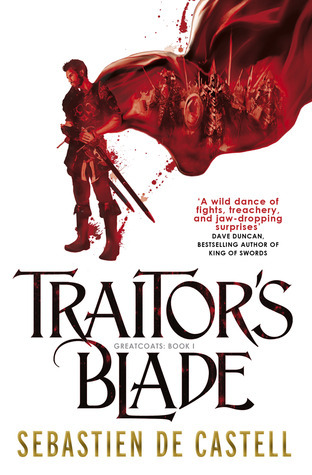 I’m enjoying Traitor’s Blade right now, so we’ll see if that makes the list soon! The only books I hadn’t heard of were The Shader Series. Then I realized it was because they were self-published. Sword of the Archon was free on Amazon, so I just picked it up to maybe give it a read one day! And my favorite book from last year was The Goblin Emperor. I really need to read Salyards, have heard such great things from a number of trusted sources. Great list! I missed so many of these. They all look so good. I’d say you have a serious lack of Sanderson’s Words of Radiance on here. That blew me away. Probably my all time favorite fantasy novel. Sanderson is definitely on to be read lists for this year.